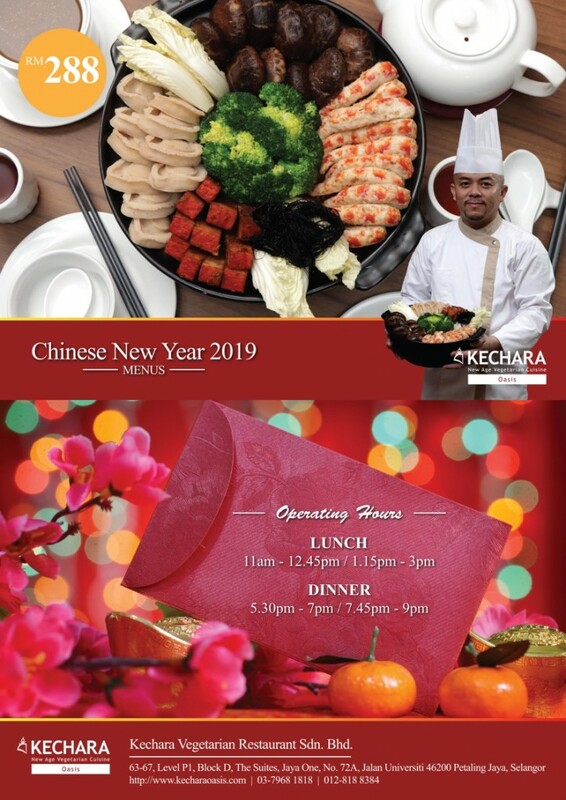 Welcome the Year of the Pig (2019) auspiciously with a sumptuous vegetarian banquet, and dedicate the merits of the lives saved for the health, prosperity, success and harmony of your loved ones! 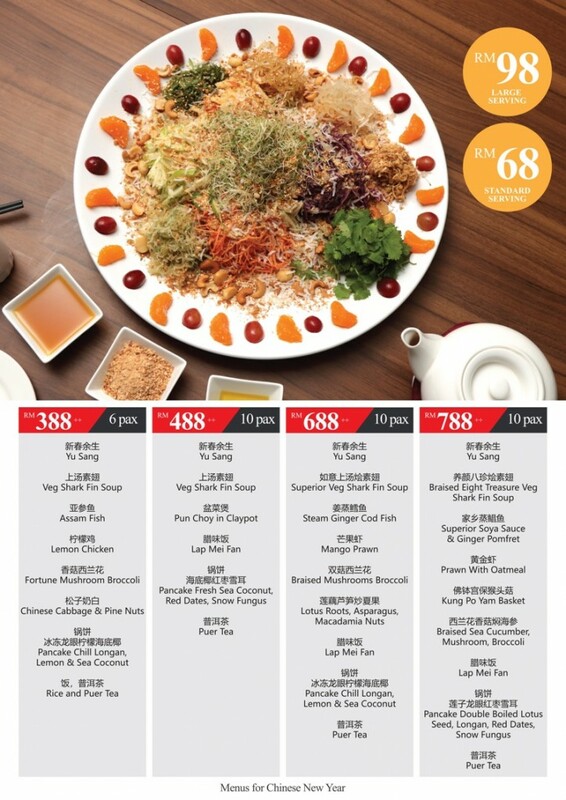 For Yee Sang – a must have for Chinese New Year – we offer options of RM68 (standard) and RM98 (large), available for both dine-in and take-away. Kechara’s unique vegetarian Yee Sang is freshly prepared in our kitchen with the finest ingredients including pine nuts, lemons, oranges, carrots and mangoes. Full of nutrition, vitamins and minerals, and colouring and preservative-free, it’s a healthy alternative to celebrate the Lunar New Year. *Note: Pun Choy requires 1 day of advance booking.